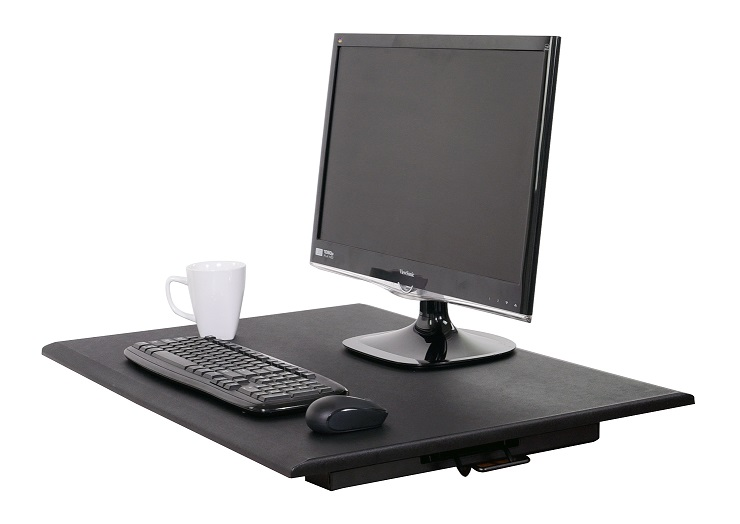 Luxor LVLUP32-BK is a Pneumatic Adjustable Desktop Desk. Create a healthy workspace without replacing your existing desk with Luxor's economical Level Up 32. This adjustable height desktop converter lets you turn any surface into a standing desk with no assembly or workspace changes required. A pneumatic air cylinder lets users smoothly adjust the height of the 32 inch surface for the perfect height customization, while Luxor's unrivaled spring-loaded bumper technology allows for gentle lowering. It holds up to 50 lbs. 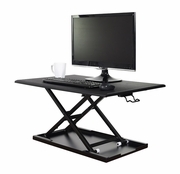 even at its maximum height of 15.75 inches above your desk. It comes preassembled. Monitor, mouse, keyboard, and mug are for visualization only.